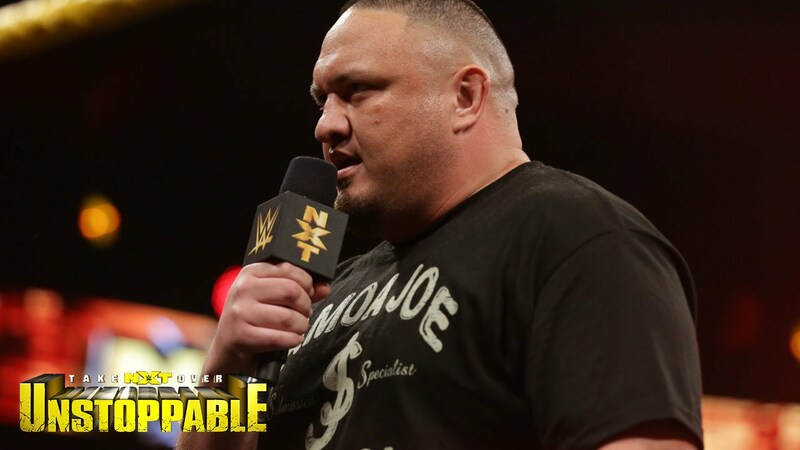 On Wednesday May 20, 2015, WWE's burgeoning third brand NXT held it's latest special, Takeover: Unstoppable. So far none of the NXT Takeover specials have been a disappointment. There was a lot of intrigue heading into this special seeing as both Sami Zayn and Hideo Itami were injured prior to the show. Rumours were also swirling prior to the show that ROH and TNA legend Samoa Joe would be making his presence felt on the show. At this point, we all know that Finn Balor has one of the best entrances in the wrestling world with his demon paint, but Tyler Breeze definitely gave him a run for his money with a WrestleMania worthy entrance of his own complete with models (developmental talent and Sarita/Sarah Stock, formerly of TNA) and a runway. Originally this #1 Contender’s match was set to be a three way, but was made a singles match due to Itami's injury. This was a fun match. A jaw dropping moment occurred when Balor hit a big crossbody onto Breeze who was on the ramp. When the action returned to the ring, Balor finished Breeze off with a Shotgun Kick and the Coupe de Grace. NXT continues to place an emphasis on their female talent as this was the first of two women's matches on the show. This tag match largely coming about due to the awkward Aussie Emma turning heel, aligning herself with the relative newcomer Dana Brooke and picking on Bayley. While this wasn't a blow away match (it didn't really need to be), all four women were solid. A fair amount of time was spent with Dana and Emma beating on Bayley. Charlotte came into the match and eventually hit her Natural Selection on Emma to pick up the win for her team. This is the one match that I was lukewarm on. Baron Corbin very clearly is being groomed for big things and it's pretty obvious to see why that is. He's got good size and definitely has a star quality and presence about him, but it feels like there's still something lacking and that he hasn't put it all together yet. Thankfully, there's still time for him to get polished in NXT. Corbin managed to evade a gore and levelled Rhyno with a clothesline before finishing him off with the End of Days. Enzo & Big Cass make their way down to the ring along with Carmella and the Full Sail crowd totally eat it up. The entrance is so over! This was probably the best in-ring showing from Enzo & Cass yet. Both teams seemed to step things up and bust out spots that we haven't seen from them yet. Blake & Murphy crushed Enzo with a stunning powerbomb/backstabber combo that elicited a ton of sympathy from the crowd. In a moment that was foreshadowed in the episodes leading up to the special, Alexa Bliss interjected herself into the match. When it appeared that Enzo and Cassady were set to win the match, Alexa took out Carmella at ringside. She then tripped up Enzo while he was perched on the top rope. Blake covered Enzo to retain the titles for his team. Sasha and Becky easily had the match of the night. It was also the longest match of the night, but it never once felt like it was dragging on. Both women are extremely technical and were set on wearing down each other's arms. In one of the nastier looking spots of the night, Becky ran Sasha into the ring steps in a way that just looked brutal. Becky went up the top rope, but Sasha took her down and looked on the Bank Statement to pick up the submission victory and retain her title. The women got a well-deserved standing ovation. The women of NXT continue to shine and steal the show. It's no secret that Sasha is star, but this also served as a great showing for Becky Lynch. I wouldn't be surprised at all to see Becky with the title soon. This was intense. Basically, from the start, Zayn was taking it to Owens. They brawled on the outside and it seemed like the tide was going to turn when Owens went for the apron powerbomb, but Zayn was able to get out of it. Zayn was even able to plant Owens with the Blue Thunder Bomb, but only got a two-count. As the win seemed to be in Zayn's grasp, Owens stopped his momentum with powerbomb onto the ring apron. Referees ran down to check on Zayn, with the match seeming to be a no contest as the ball wasn't rung and no announcement was made for some reason. Despite the referees trying to tend to Zayn, Owens kept attacking which led to Regal running out to subdue Owens. Alas, Owens dropped Regal with a headbutt. Samoa Joe made his debut, walking to the ring and getting in Owens' face. They didn't brawl, but instead had an epic stare down. The show ended with fans chanting for Joe. More than anyone else in that ECW dressing room, Tommy Dreamer, maybe more than anybody else in the wrestling industry, you are willing to pay the price, to sweat, to bleed, to suffer. You're willing to bear that cross, and I say Tommy, don't do it! Because, you see, in order to sacrifice and bear that cross for them, it means I've got to suffer too, and I'm telling you from the voice of experience, that they're not worth it, Tommy. They're not worth it!" - Mick Foley interview during ECW show. Reading that, how did you feel? Compassion?, Anger? Sympathy? Did it engage you into what he was feeling? If he did then the promo hit the right spot, you see prowrestling.wika says, "In wrestling, a promo is short for "Promotional Interview", a dialogue or monologue used to advance a storyline. The act of delivering such an interview is known in business and by the fans as cutting a promo." As much as Wrestling fans love the matches and the in-ring action, they love the promos. These promos could happen anywhere: inside the ring, the arena, outside or on social media. 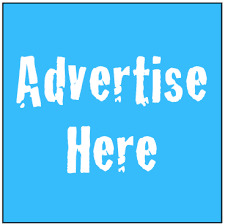 Some could be planned, ad libbed, unscheduled or someone cutting one unscripted. Wrestling fans love promos for many reasons: as mentioned it furthers a storyline, it could be funny, it could more serious or controversial. It's an aspect to the wrestling industry that goes hand in hand with action itself. Throughout the years fans have seen some of the best witnessed some of the best promos in wrestling history. 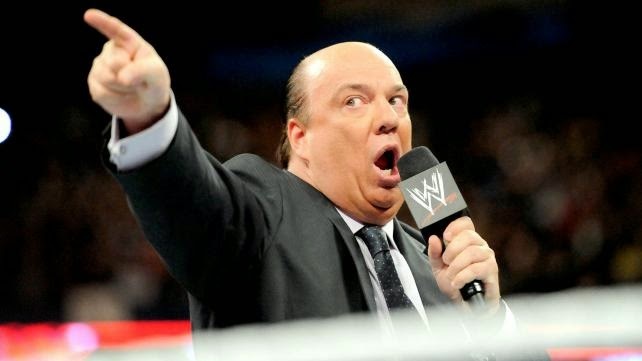 Paul Heyman, the master of the microphone (in this writers opinion) has left fans fuming, laughing but more so in awe. He always achieved what was neccessary on the mic to build-up any angle his client is involved in, and on April 7th 2014 the night after Brock Lesnar defeated The Undertaker at Wrestlemania, he left every fan in shock. And there have been amazing promo men and women out there: The Rock, Steve Austin, Ric Flair and Kurt Angle to name only a few but who in the UK do we see could provide or have already given amazing promos to entertain the fans? Chris Renfrew, one of the very best talkers in the business gave this hardhitting promo on Lionheart in the build up to there match at Insane Championship Wrestling this year, this one had social media buzzing. Kay Lee Ray, an amazing wrestler who for every wrestling fan who says women can't wrestle, SHOULD see exactly what she can do in the ring, this example is from Fierce Females, in the middle of her match with Nikki Storm, she takes the microphone, alligns herself with two other great promo women in the industry, Carmel Jacob and Siren Sara left everyone dazzled. Joe Hendry who is known as one of the best talents in the UK today, cut this amusing promo to build up his arrival in Paid Promotions, this left Morecambe fans angry but fans watching across the UK couldn't help but chuckle. These are only three I've chosen and again there are many, many, many other promos that have made fans in the UK stand back and go "damn that's amazing" but again there are also amazing individuals in the UK that great promo individuals and there are too many to mention on this article alone. So, what is the point I'm making? Without the talking, the promos and the bits inbetween the wrestling in the ring, fans wouldn't have just as much to talk about and may not be as interested in a match as they could be without the drama alongside it after all the promos help the fans know why a feud is happening. With UK Wrestling constistantly in the last few years gaining more support from fans and more recognition from the media, this writer would love to see more promos either at the events or behind the scenes on youtube so fans across the world could get as emotionally interested in the matches as I do witnessing them. Now to clarify, I'm not saying a WWE RAW near twenty minute promo at the start of the show because let's face it, thats not realistic, but a stage inbetween or something to strike the balance would be good. However, one thing that can be said, with the amazing amount of Wrestling Academies throughout the UK focusing on in-ring action and promos, the fans will never bored at a wrestling event now and won't be bored at a wrestling event in the future. It comes as no surprise that, given NXT’s ongoing status as the must-watch pro-wrestling programme, ESPN’s weekly investigative journalism show E: 60 chose to peek Behind The Curtain last week, giving us a fleeting glimpse into the inner workings of Triple H’s baby. Kicking off with a quick, behind-the-scenes look at the difficult family life of Adam Rose, AKA Ray Leppan, the special edition show sought to give us an insight into the man behind the hair as Leppan, along with Xavier Woods, Corey Graves and, in an extra chunk of the show, Tyler Breeze, are given the spotlight to tell their stories. If only anyone actually cared about Adam Rose. Don’t get me wrong, he isn’t a terrible wrestler, and Leppan, to his credit, seems like a decent and hard-working family man, but he’s a strange fit for this show and it’s unlikely fans will be tuning in, in their droves, to learn more about him (likewise the insufferable Corey Graves). What we really want to see are shots of a be-suited Triple H giving lectures to college halls full of wannabe wrestlers, telling them in no uncertain terms that not all of them will make it and that, the next time he’s standing in that very spot, half of them won’t even be there. Although it’s kind of strange to see bonafide Superstars like Adrian Neville sitting there quietly, taking notes, this is still a fascinating look at a side of the business we very rarely get to see. Basic, one-on-one interviews with Triple H and Vince are less inspired (“How many concussions have you had! ?”), with the two of them remaining very much ‘on’ throughout and revealing little to nothing new about the inner workings of NXT. The real revelations come in the footage captured before, after and during the TV tapings, in which Triple H, in particular, can be spotted doing a little bit of everything; from coaching talent to arguing about lighting and brainstorming music cues. Naturally, one could easily assume he’s just playing it up for the cameras but NXT is definitively his baby, and it’s going from strength to strength so reasonably speaking these scenes must be at least partially real. The other major talking point about Behind The Curtain comes in the form of an office-wide general meeting, where a host of recognisable WWE characters – including Dusty Rhodes, disgraced ex-trainer Bill De Mott, Joey Mercury and Michael Hayes – give their, often quite biased, opinions on the current roster of wannabes as Triple H, seated at the head of the table, listens, nods and interjects with his own thoughts (mostly positive, of course). Of all of these voices, De Mott’s is one of the loudest and most obnoxious. Tellingly, his in-ring scenes with the soon-to-be star wrestlers are quite uncomfortable, his manner often bordering on aggressive. He happily tells a nervous Rose that his new gimmick isn’t going to work, right before he takes to the ring, only to eat his words when he has a great show. Instead of admitting he was wrong, De Mott revels in the glory. Although we’re still not quite sure what happened with the alleged bully, his appearance in Behind The Curtain doesn’t help his reputation. Aside from the entertaining staff meeting, we learn that Xavier Woods is studying for his PHD, Tyler Breeze came up with his own, super-over gimmick himself, and Corey Graves thinks he’s James Bond (how his wrestling career is handled shows how WWE take care of their own, however). No women are featured, in spite of the fact several recognisable faces pop up in the background (Paige seems to be permanently there, looking a bit perturbed). The footage was captured back in 2013, which goes some way towards explaining why Sami Zayn, for example, doesn’t feature. Updates are given towards the end of the show on what everyone is currently up to (everyone has had more babies) but otherwise this is a show mostly focused on up-and-comers. It’s unclear who exactly Behind The Curtain is aimed at. Fans won’t learn anything new here, and will be confused by the choice of featured Superstars, but newbies will suffer with how quickly the narrative jumps from person to person. The choice of subjects is odd regardless of personal preference, though, as two of them have clearly been chosen for the old sob story angle. Woods and Breeze are the most interesting of the group, with the latter’s extra, ten-minute chunk offering the funniest and most insightful moments of the entire show. Watch a super-enthusiastic Billy Gunn freak out over his debut, and learn how Triple H changed his accessory from a mirror to an iPhone to facilitate selfies, which were becoming a trend at the time. What emerges from Behind The Curtain is a fascinating, albeit slight, glimpse into the inner workings of NXT that only borders on controversial when dealing with De Mott’s resignation. It otherwise straddles a line between rose-lensed and downright mawkish, utilising Adam Rose’s sick child and Corey Graves’s job loss for pity when really we want to spend more time in the boardroom, or getting things ready with Triple H.
As insider looks go, Behind The Curtain isn’t exactly breaking any boundaries, but it’s still worth a watch for what it is: a quick peek and nothing more. The Ultimate Warrior's untimely passing on April 8th, 2014, came as a huge shock to the world of wrestling. Not 24 hours earlier, Warrior had been in a WWE ring, addressing the crowd on Monday Night RAW as one of the newest inductees to the WWE Hall of Fame. It was something fans and wrestlers alike had never dreamed would happen, the gulf between Warrior and the WWE seemingly too great to ever be bridged, but what came to pass was a celebration of Ultimate Warrior's life and career and, ultimately, a fitting tribute to a man who exemplified intensity, passion and destructicity. Now, a year on from that fateful night after RAW, WWE Home Video presents 'Ultimate Warrior: Always Believe', a three disc DVD set that charts the life and career of The Ultimate Warrior, as well as paying tribute to the man behind the facepaint and the life he led. Disc one contains the documentary portion of the set, beginning with Warrior himself telling the story of how he got his start in the wrestling business with promotions like Mid-South and World Class Championship Wrestling. As with many of the WWE documentaries, this is a well produced feature with an abundance of clips from Warrior's career as well as a good selection of talking heads providing further insight and, in some cases, other sides to the story. Observations from current WWE superstars are kept to the action in-ring, leaving the weightier comments to those who played a role in Warrior's journey, such as Sting, Hulk Hogan and the McMahons. When it's time to address the troubles that caused the rift between the Ultimate Warrior and WWF, both sides give a frank and candid appraisal of the situation, rather than attempt to gloss over their respective mistakes. A similar approach is taken to the infamous WWE DVD release 'The Self-Destruction of The Ultimate Warrior' and the ensuing legal battle that followed, which was refreshing to see. The latter stage of the documentary takes a good look at Warrior's personal life, with interviews from his wife and two daughters as they accompany Warrior to WrestleMania weekend and the Hall of Fame ceremony. We get some great scenes as Warrior revels in being back and involved once again in the world of wrestling and as he connects with friends old and new in the WWE, including a touching moment as Warrior presents Vince with an unexpected gift. The overall feeling is one of redemption and resolution, as we follow Warrior onto the stage at the Hall of Fame ceremony and he delivers his message of motivation and perverseness, the ethos by which he lived his life. Understandably, things becomes somewhat maudlin as the story travels through the events of Warrior's sudden demise and beyond. But, while we see his family struggling to deal with Warrior's death and everything the WWE did to take care of them in such a trying time, it never comes across as exploitative or self-promoting. The overall tone is one of tribute and, as the documentary comes to a close, you might feel that it's intended for Warrior's family as much as it is for his fans. Disc two concerns itself with Warrior's in-ring career, with twenty one matches spanning the breadth of Warrior's WWF tenure (and two from his early days in WCCW). These aren't the usual Ultimate Warrior matches, however, but rather a collection of more obscure matches that provide a good companion to the 'Ultimate Collection' DVD set released last year. Included amongst the twenty plus matches is an early 1986 example of Warrior working as a bad guy (with the legendary Gary Hart in his corner, barking orders), Warrior's first ever appearance at Madison Square Garden from 1987, Honky Tonk Man's title rematch after losing the Intercontinental Championship to Ultimate Warrior in 1988 and a great match with Ravishing Rick Rude from 1989. There's also notable bouts such as a match with Andre the Giant from Maple Leaf Wrestling, or Warrior as the new World Heavyweight Title defending his title against the dangerous Haku. Plus, Warrior's last ever match on WWF television, facing off against Owen Hart on Monday Night RAW in 1996. The final disc of the set is dedicated to Ultimate Warrior's always colourful and very intense promo style, with over forty interviews spanning the length and breadth of his career. We get to see the Warrior persona as it's developed and grown, from the early days as Dingo Warrior to his first title run with the Intercontinental Championship. With highly memorable moments such as Warrior's legendary promos for his feud with Hulk Hogan, Warrior scaring the wits out of Sensational Sherri on the Brother Love Show and Warrior ranting at length about the likes of The Macho King, Rick Rude, or Papa Shango, this is a good collection of over an hour and a half of classic Ultimate Warrior promos. Also included are Warrior's appearances in WCW, his entire Hall of Fame induction speech and his final ever appearance on Monday Night RAW, mere hours before his passing. Overall, this is a well constructed set. 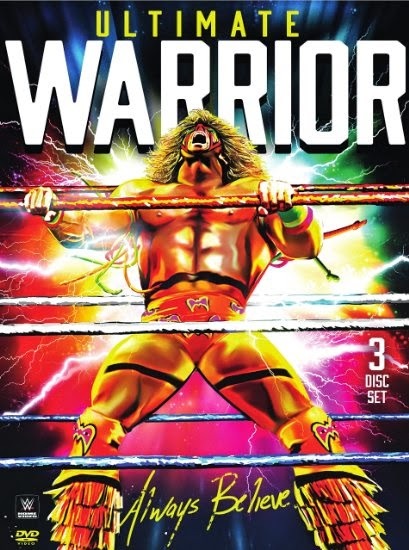 While the match selection may disappoint people expecting to see the best of the Ultimate Warrior, when paired with the 'Ultimate Collection' set released last year the two releases form a comprehensive look at the life and career of Warrior, one that's sure to please his fans. I thought the documentary was particularly well done and provides a fitting tribute to a man who took the wrestling world by storm.